Linda Hoffman is our Personal Lines Manager. 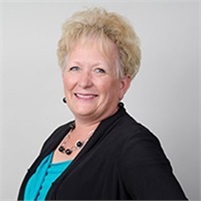 Linda entered the insurance industry in 1982 and spent the first 26 years with Sceales & Associates Insurance. She originally started as a receptionist/ claims representative and obtained her Property & Casualty license in 1984. Linda also became a Notary Public in 1995. She spends her spare time with husband Dan & their 5 grandchildren. Her special hobbies are competitive trapshooting, gardening, and spoiling those grandchildren.